It’s a new era for Indianapolis Colts football with Head Coach Frank Reich, a new training camp location and Andrew Luck’s return to the gridiron. Fans are invited to experience training camp for the first time since 2016 to watch practice, hi-five their favorite players and cheer on the boys in blue. Follow the signs along the Monon Trail from 146th Street north to Grand Park. Collect stickers at each stop, fill up the passport and you can attend a special celebration party at Grand Park July 15 from 2-5 p.m. Pick up the passports at Centier Bank on IN-32 when available. Find more details here. Training camp will be at Grand Park for the next 10 years, and Colts Nation can expect a fan-focused experience. Colts City is a family-friendly activity zone open each day practice is open to the public. The area includes a Play 60 Zone, inflatables, 40-yard dash, Colts in Motion traveling museum, Colts Pro Shop and more. Football is the focus, but there are many exciting events and themed days throughout training camp. Mark your calendar for Camp Kickoff, Kids Day, BBQ Bash Night, Sunrise Yoga, Community Day and more - click here for the full schedule. Prior to the Aug. 20 preseason game, the Baltimore Ravens will join the Colts for a joint practice Aug. 17 and 18. This is just your chance to see not one, but two NFL teams scrimmage and practice together. Do you live in central Indiana? 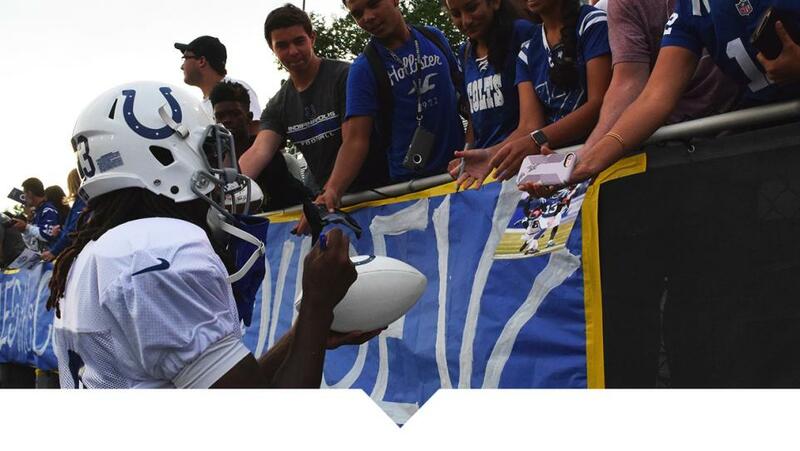 More than 500 volunteers are needed to help make the inaugural Colts Training Camp a success. Click here to learn about the opportunities and sign up. For details on practice days, tickets and parking visit our website. Be sure to follow us on Facebook, Twitter and Instagram to see what&apos;s happening in #VisitHC.